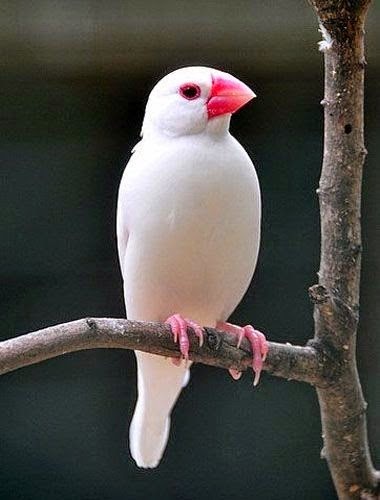 The Java sparrow, also known as Java finch bird is a small passerine bird. This finch is a resident breeding bird in Java, Bali and Bawean in Indonesia. ﻿What a beautiful bird. I have never seen a bird like this with the white and the pink. This is a bird from heaven is it so.? Such a beautiful bird.pure white.